Kynan Tan’s work Completely Automated Public Turing Test to tell Computers and Humans Apart explores the strange and shifting boundaries of computer and human perception. Focusing on the now obsolete CAPTCHA system used to identify whether a user is a human or bot, this work questions the importance and relevance of this certainty of humanity. 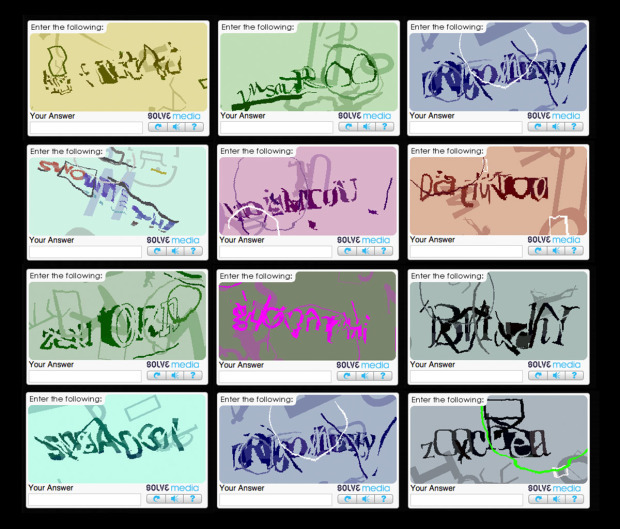 Reframing the turing test as an aesthetic experience, the work places CAPTCHAS alongside generic, everyday digital tools of capture — such as computer vision and speech-to-text — that attempt to produce, read and deduce information from sensory inputs, drawing a diagram of loosely connected points on bots, humanoid robots, algorithmic authority and errors in automated logic.